The first weekend of January, some collage friends were back in town visiting and another invited ups up to his family’s Big Sky condo to hang out. I was all too willing to accept, even if I wasn’t going to be skiing, a mini get away with old friends is always fun. One of my friends brought Miracle Berries, the true reason for this post. I had heard about these taste- altering berries awhile ago and was exited to give them a try. They are a naturally occurring thing from West Africa that make sour things taste sweeter. 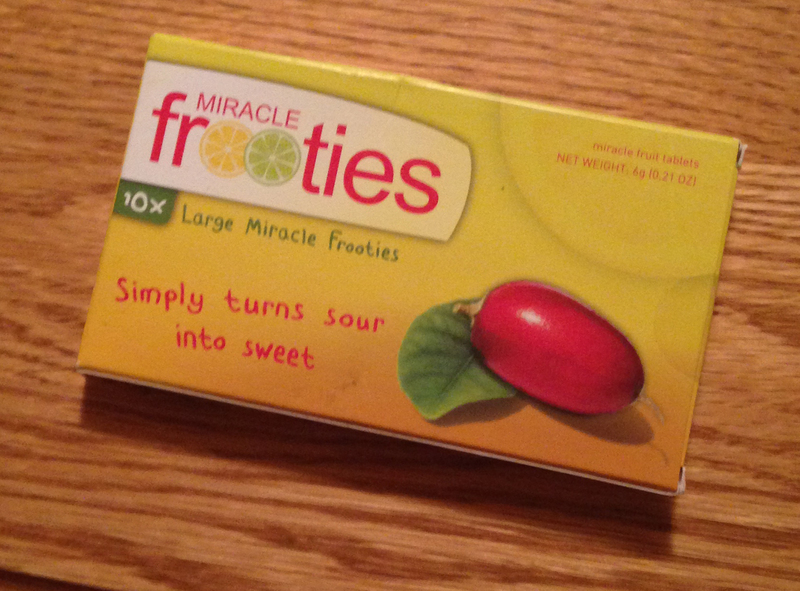 The kind that we tried was Miracle Frooties. It was a tablet that you let sit on your tongue until it dissolves and then your taste will be altered for anywhere from 15 minutes to an hour or so. I guess it just depends on how you react to it. We tried some pretty sour stuff that tasted amazing. My favorite was the Kiwi. We had some pretty unripe ones that tasted so good to me. Robin was in love with the lime and ate so much it made her stomach hurt. I thought it was good, but it was almost too tart & sweet tasting to eat to much. Lemon was okay and kumquats were yummy. We also tried sour cream, which was rumored to taste like cheesecake. I think it just made it edible without anything else, but not like cheese cake. I didn’t think the sour patch kids were that sour to begin with, (am I crazy? ), so they didn’t really do it for me, but others really liked them. The prosecco, already sweet, was way to sweet to drink while the berry was working. 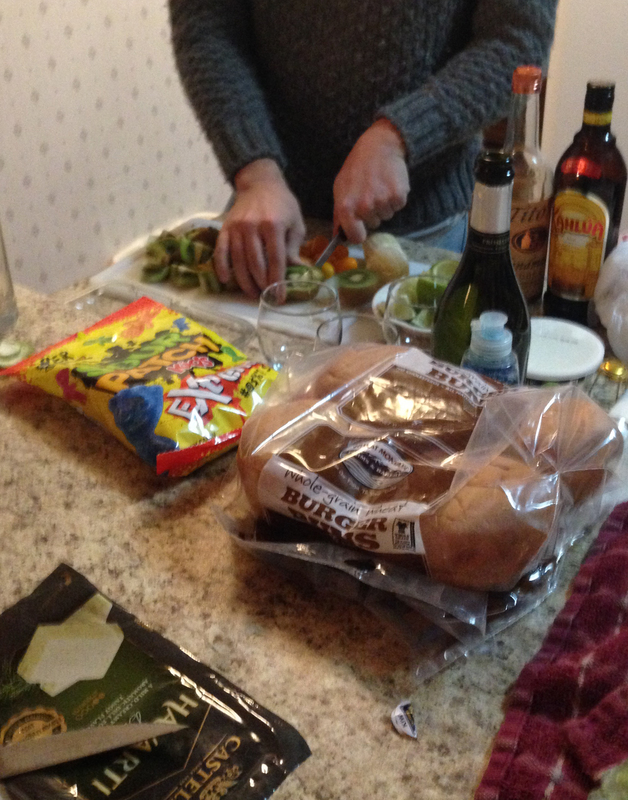 The last thing we tried was some super salty taco chips that lost their saltiness. Some of the random things we tried. Minus the buns, they were just in the way. All in all it was a pretty fun little thing to do. I would love to try it with grapefruit, mango, tart apples, and goat cheese. I’m sure there are other things I also need to try it with, but that was a good start, and this would be a good follow up. Anyone else out there tried them? This entry was posted in Perishable Item, Recipe Box and tagged kiwi, kumquats, lemon, lime, Miracle Fruit, sour patch kids on January 22, 2015 by perishableitem. On Saturday we had our 5th Cook-off. There have been many ideas for what we should do next, but this one came from a tweet a friend sent me after I posted up my Sausage and Arugula Pizza recipe wanting to know what the next “off” was going to be. We had not had an Off since the Beet-Off in the fall- I was a bit behind. So it I decided Pizza. Done. Normally I will do some test runs before hand of different recipes I want to use for and Off. I mean, there are some serious trophies at stake here. 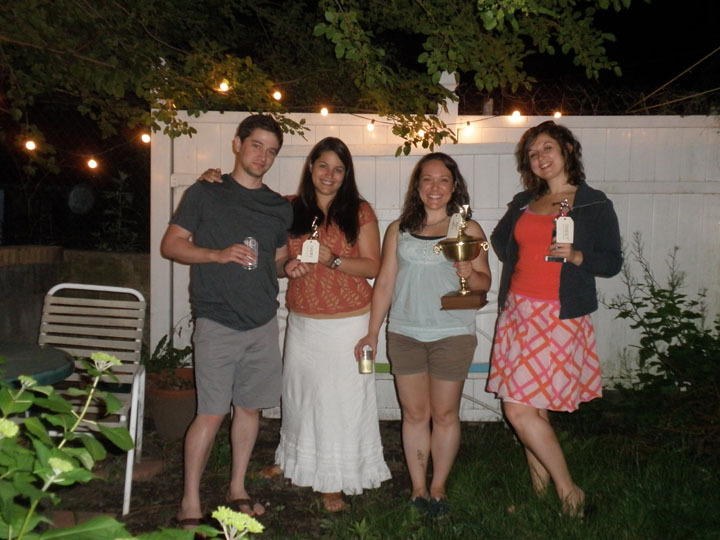 After the Beet-Off, I was holding the Best in Show trophy and I didn’t really want to give it up. Unfortunately, I have been really busy and only gave people a weekish notice about this Off and I wasn’t all with it, so I didn’t do any trial runs. Besides, I never make any thing I try before hand, I always make something new, so what’s the point really? I decided I wanted to make my mom’s fruit pizza. She has not made it in a long time, but I just remember it being so good. I called for the recipe the night before at midnight, (10PM Mountain time). We debated whether or not it was the right one, because she thought she made it with cream cheese and powdered sugar, but this recipe was with vanilla yogurt. There was no other recipe, so it had to be it, and in any case, I was going to run with it no matter what. It was midnight the night before the competition, after all. Saturday ended up being a bit hectic before the Off. As you can see from my previous post, it was the Red Hook Immersion, and despite the fact that I was suppose to be home around 4PM, I didn’t leave Red Hook until 6PM, the time people were suppose to be showing up. Of course by saying it started at 6, I assumed no one would be here until 8. This was sort of true. And I would have been home sooner, if I hadn’t found my bike with a flat tire and no tools to fix it or nearby bike shop so I had to wait for a car that never came before giving up and going to Ikea to get one there. Good thing this recipe is quick and easy to make. While I was dealing the dough and sauce part, my friend Thomas cut the fruit for me. It maybe took and hour at most to assemble the whole thing and throw it in the fridge to cool while we waited for everyone else to get here. We ended up starting around 8:30. Good thing I had another friend whip up some Avocado Dip for everyone who was on timeish. There were several savory pizzas and only two sweet, which surprised me, because I would have thought there would have been a couple more. All of the pizza’s were pretty tasty. Even the ones with ingredients that I am not a fan of like, lox. It made it pretty hard to pick out my favorites for voting. 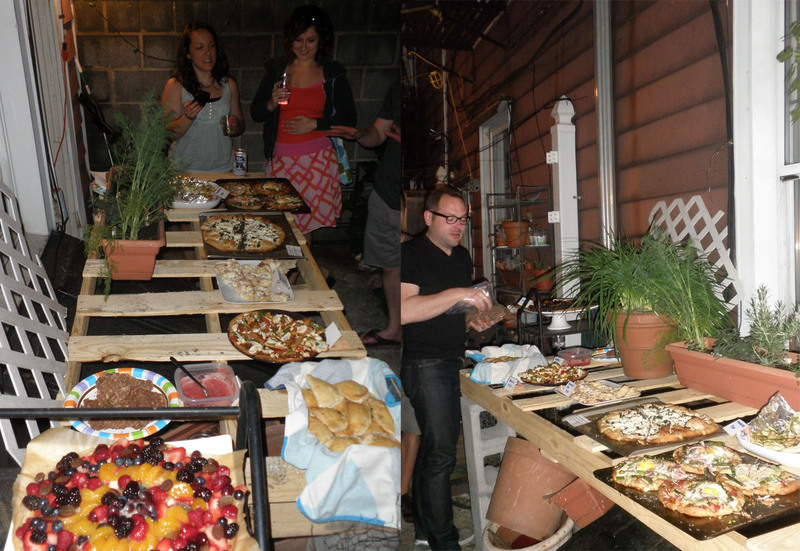 In the end, Melissa’s Aspargus, Procuitto, and Egg Pizza took us all out for the Best of Show. Hillary’s Nutella Cream Cheese Calzones with Strawberry Sauce beat out my Fruit Pizza by one vote for the Beat Sweet and the Taco Pizza by Chris and Pilar took home the Best Savory. Good work winners, your going down in the next round! Roll out the cookie dough to be about 1/8 ” thick and to fit your pan- mine was a 12″ round pizza pan (for once I actually had the right thing?!?! Crazy). Bake for about 10 minutes, or until the dough just starts to brown. Meanwhile, mix the yogurt, eggs, flour and lemon peal together in a small dish. Spread over the crust once it is done. Bake for 10 minutes, or until the mixture has set and the dough is brown. Let the dough and sauce cool when done baking. If your fruit is not cut, this is the time to do it, I like to slice the strawberries and kiwis thin and halve the grapes. Mix the sugar, corn startch and water over medium heat in a small sauce pan. Bring to a boil and stir frequently until the mixture starts to thicken. Remove from heat and set aside. Arrange the fruit as you wish on your pizza. Mix the lemon juice into the sugar-water mixture. Using a pastry brush, gently brush the glaze all over the fruit. Let cool in the fridge until ready to serve, usually good to give it an hour or so to really cool down. 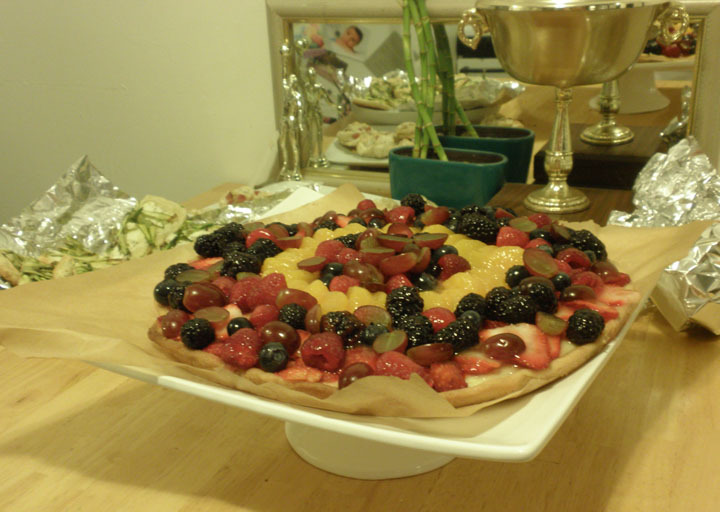 This entry was posted in Celebrations, Desserts & Sweets, Recipe Box and tagged blackberries., blueberries, cook-off, dessert, Fruit Pizza, grapes, kiwi, lemon, Mandarin oranages, raspberries, strawberries, sugar cookie, yogurt on May 17, 2012 by perishableitem. I have been on a bit of an avocado kick lately. It is just so yummy and versatile. Last week I came across a guest post by Angela from Oh She Glows for Creamy Avocado Pasta. I remember reading the post, but I can’t find it anymore, so I apologize. Anyway it was the perfect thing to make because I had and leftover half of a lemon and some basil I needed to use ASAP and I was glad I remembered the post and found the recipe. This recipe is super yummy and so easy to make. If you need a quick meal for two, I highly recommend it. Just remember that since it is avocado, the leftovers do not really heat up well or look very edible either. I don’t have a food processor, just a blender and there was not enough liquid to throw it in there, so I just finely chopped everything and mixed it with a hand mixer to get it all creamy. I did not or do not care that the recipe is vegan, so I added some cheese. And really, can you go wrong with Cheese? I think not. This does not do it justice. I promise it’s good. Meanwhile, make the sauce by placing the garlic cloves, lemon juice, and olive oil into a medium bowl. Mix with hand mixer until smooth. Now add in the pitted avocado, basil, and salt. Mix until smooth and creamy. When pasta is done cooking, drain and rinse in a strainer and place pasta into the bowl of sauce. Toss until fully combined. Garnish with cheese, lemon zest and black pepper. This entry was posted in Main Dishes, Recipe Box and tagged avocado, basil, lemon, parmesan on June 28, 2011 by perishableitem. The past couple of weeks have brought some great reasons to celebrate. First, I was given the clearance to start riding my bike again, my elbow is all better. Second, I finally got my Architecture license! Whoo hoo! Third, my very great friend, Megan was in town for the weekend on her way to a conference. Fourth, summer is officially here, this is probably reason enough. Melissa reminded me that I have had a bottle of champagne that my boss gave me three years ago that I still had not opened. It was time to pop open that bottle and celebrate, so that’s exactly what we did this weekend. 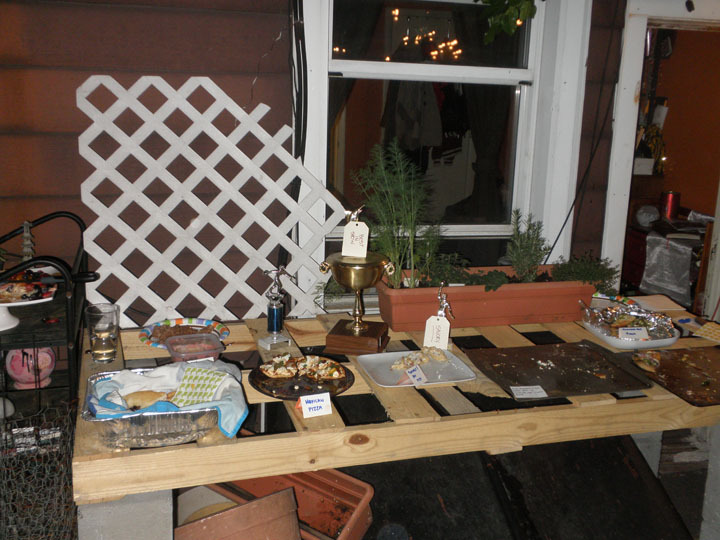 I had been wanting to host a small dinner party on the roof for some time now, so that’s exactly what I did. The menu was Avacodo Dip, Spinach, Red Onion & Cherry Craison Salad, Summer Squash Ribbons with Lemon & Parmesan, Lemon & Basil Roasted Chicken and last but not least a tasty Fruit & Pudding Trifle Megan whipped up (so good- we must beg her to post it up). Everything was gluten free and absolutely tasty. Everything was super easy to make time so that everything was ready when needed. Megan made the desert before everything else so that it could set up in the afternoon. I prepped the chicken and put it in the oven. I mixed up everything else while it was roasting. First the avocado dip, the salad dressing and salad and finally the summer squash just before the chicken was done. I have made two of these recipes before, but I have three to share with you today. 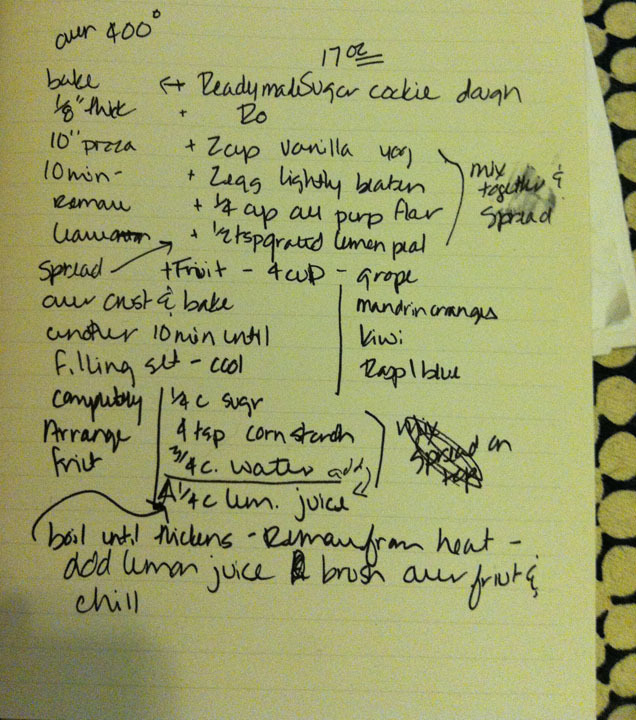 I followed most of the recipes pretty closely, maybe adding more or less of this or that to some of them. I highly recommend the Sweet Paul Magazine that I found the Avocado Dip and Lemon & Basil Roasted Chicken in. There are so many more recipes that I need to try from it. The avocado dip was gone in an instant & look at that chicken! Serve with chips or other tasty dipping snackers. Add the oil, lemon juice, Parmesan, 1/2 teaspoon salt, and 1/2 teaspoon pepper and toss gently to combine. Serve immediately. Remove the gizzards and liver if inside the chicken cavity and rub chicken well with 2 tbsp olive oil. Lift up the breast skin gently and place a bunch of basil in the “pocket”. Sprinkle with salt and pepper & Place in an oven-proof dish with potatoes, carrots, and garlic. Fill the cavity of the chicken with two lemon halves. Squeeze the remaining lemon over the chicken and drizzle with olive oil. We didn’t even make it to our seats to eat we were so hungry & it was so good! Take it all the to roof and Enjoy! This entry was posted in Celebrations, Main Dishes, Perishable Item, Recipe Box, Soups & Starters and tagged avocado, garlic, lemon, parmesan, potato, roasted chicken, summer squash, zucchini on June 22, 2011 by perishableitem. Once rhubarb is in the farmers market, it is the one thing that drags me from my comfy bed early on Saturdays to trek up to the park. I tried to plant one in my garden, but it didn’t take. Sad. Anyway, I made the trip to the market and brought home plenty of rhubarb and some zucchini planning to make something with one or the other for the barbeques this weekend. I also wanted something that would be transportable to the beach. After flipping though most of the recipes I have, I decided to go with the rhubarb version of the Gingerbread pots in my 500 Cupcakes cookbook. I had intended to follow the recipe completely, but I was out of wheat flour and I wasn’t completely sure about the rhubarb prep. They turned out well either way. The rhubarb flavor was subtle and and the ginger was not overwhelming. The lemon glaze was the perfect topping to balance out the gingerbread. Preheat oven to 350 degrees. Line small terracotta pots with parchment paper (or a cupcake tin with liners). Mix rhubarb, white sugar, and water in small sauce pan over medium low heat. Stir frequently until the rhubarb has broken down and is soft. Set aside. Sift the flours, baking powder, ginger and cinnamon in a large bowl. In a medium bowl, combine the remaining ingredients and beat with an electric mixer until smooth. Mix in rhubarb until combined. Spoon batter into pots until about 3/4 full. Place pots on a baking sheet and bake for 20 minutes. Remove pots from oven and cool on a rack for a few minutes before removing from pots and cooling for 10 minutes. To make glaze, combine the lemon juice and powdered sugar in a small bowl. Drizzle over the tops of the cupcakes. Store in an airtight container for up to 3 days. This entry was posted in Desserts & Sweets, Recipe Box and tagged cupcakes, ginger, lemon, rhubarb on May 30, 2011 by perishableitem. I apologize for keeping these recipes to myself for so long, but I have finally combined the top recipes from the Lemon Off. They were all delicious so I highly recommend you try them all sometime. Here they are. The winners better not get too used to having those awesome trophies because there are plenty of people already picking out recipes for the upcoming Rhubarb Off! This entry was posted in Celebrations, Desserts & Sweets, Main Dishes, Recipe Box and tagged lemon, pasta, pie on May 6, 2011 by perishableitem.